FromStar Wars: The Force Awakens, Temmin "Snap" Wexley gets the Pop! Vinyl treatment! A piolt in the Blue Squadron, Snap Wexley is known as the best recon flier in the Starfighter Corps. 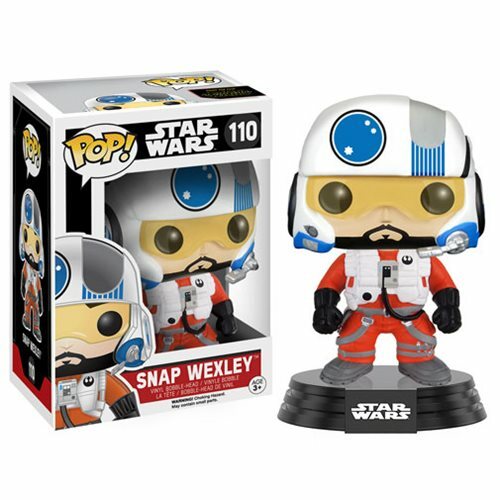 The Star Wars: The Force Awakens Snap Wexley Pop! Vinyl Figure features Snap Wexley suited up and ready to fly. This figure measures about 3 3/4-Inch tall and comes in a window display box. Ages 3 and up.